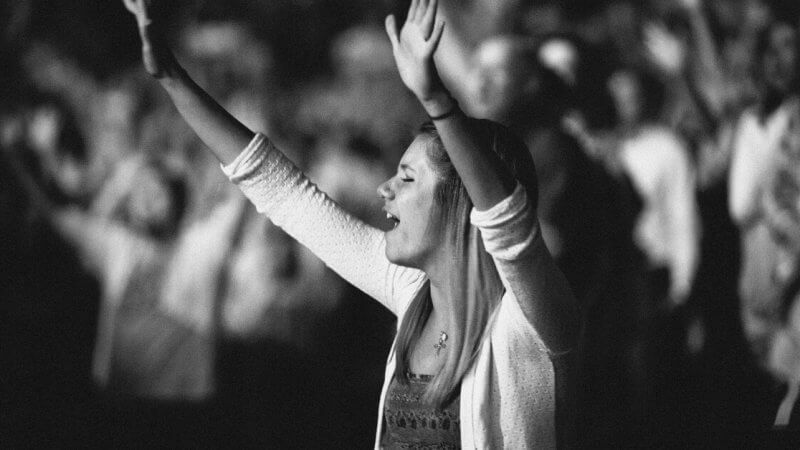 I have heard this concern many times: “I try to stay away from modern worship music because it all seems to be about ‘me’ and not God.” Maybe you have had this concern yourself? Right off the bat, it seems they couldn’t be more right. Most would just nod their head and agree. However, if you dive into God’s Word, you will find out that this belief is not Bible-based but more of a personal opinion. Songs based on scripture glorify God, regardless of if they are about ‘me’ or Him. In II Timothy 3:16 we find out that every bit of scripture is inspired by God and useful to the body of Christ. So, when we sing songs like No Longer Slaves by Bethel, we can rest assured that even though this song is all about who we are in Christ, God is glorified when we sing because the lyrics are based on scripture. I am confident that God is pleased when we sing songs like How He Loves. The entire Bible points to His love for us, but yet we have a hard time really understanding how much He loves us. When we sing about how He loves us and who we are in Him, the revelation of His great love gets buried deep down in our hearts. The more we sing it and say it, the more real it becomes to us. God wants us to speak His word. Words carry power. The ultimate example of this is how the world was created…God spoke it into existence. Every bit of the Bible is God speaking to us. And as believers, when we speak His words, they carry the power to change our lives, renew our minds, and turn us into who He has called us to be. When we speak or sing these things out loud, they become real to us. I get so excited to lead my congregation in a song that is all about who they are in Christ. The more they understand their true identity, the more their life will glorify God on a daily basis. The most important thing is to sing songs that are Bible-based. Bottom line, the most important thing is to make sure all worship songs are Bible-based. If not, they are not worth singing and may even be damaging to the congregation. If the song is Bible-based, me-centered (singing about who you are in Christ) and God-centered lyrics both glorify God. Of course, as with most things, a good balance between the two is a good plan. I still agree that doing too many songs with “we” or “I” isn’t healthy regardless. I believe there should be balance. Great article. Definitely agree, Kevin. We want to have a song that praises the Lord directly, and exalts Him. And then if we have a “topical” worship song, identity, freedom, etc. I try to tie that into the sermon series or message to help reinforce that Biblical truth being taught. One of the challenges Christians face is confusing the Word of God with the WORD OF GOD. The Word was made flesh and dwelt among us. It is man who has limited God to a book. Maybe we are overthinking things. I find this prayer from Thomas Merton helpful. “All Scripture is given by inspiration of God…” 2 Tim 3:16 – Man did not limit God to a book. God gave us the Word to reveal Himself. Then, He even went so far as to make the word become flesh (Jesus) to further reveal who He is. Jesus did not replace the Word, but brought it to life. All I can say is, thank God for the Word. There is no time I feel more connected to Him than when I dive in to the Word and allow God to speak to me through it. “How Great Is Our God” – Uses “our”, “me” and “my”. A song “about” God used by thousands of churches every Sunday. If you reject this one you are rejecting solid, scripture-based praise. There are many more but this one is a prime example.